The decision results from “concerns and deficiencies” identified in nationwide audit. The federal government is reining in the power of Bechtel National Industries to spend taxpayer dollars at the Hanford site in Eastern Washington by requiring many subcontracts to first get reviewed by Energy Department officials. The restrictions follow a nationwide audit of Bechtel National by the Defense Contract Management Agency that found “concerns and deficiencies”in Bechtel projects for the federal government in Kentucky, Colorado and Tennessee as well as Hanford, where the corporation is the main contractor in a $17 billion project to design, construct and commission a treatment plant for radioactive wastes. Until the federal government restores approvals for Bechtel, corporate employees must get consent from federal oversight officials for any purchase agreement valued at more than $150,000, or flexibly-priced agreements of any value. The Seattle Times contacted the Defense Contract Management Agency for details about the audit, but it was told the release of any information would have to be cleared by an attorney in a process expected to take days. A Bechtel National spokesman, in a written statement, said the February audit identified a number of issues, including the procedures used for documenting purchases from subcontractors. Some of these concerns involved the type of documentation used to ensure that no companies barred or suspended by the federal government receive subcontracts. The corporation responded to “requested updates ” in those procedures and does not anticipate “detrimental impacts to ongoing work at the Waste Treatment plant or any other project,” according to Fred deSousa, a Bechtel National spokesman. The Hanford waste-treatment plant is being built to handle one of the most troublesome legacies of the Cold War — 56 million gallons of chemical and radioactive material left over from Hanford’s production of plutonium for nuclear weapons. These toxic wastes now are stored in aging tanks — about a third of which have leaked an estimated 1 million gallons. The plant is designed to turn the waste into a more stable form for long-term storage through a complicated process — called vitrification — that transforms it into a molten-material that can be poured into stainless-steel canisters. There have been delays and engineering problems, and costs have escalated over the years from an early estimate of under $5 billion. In years past, Bechtel’s project performance at Hanford has come under scrutiny. In 2016, Bechtel National and a subcontractor jointly agreed to pay $125 million in a settlement with the Justice Department over allegations of false claims and statements to the federal Energy Department. The Justice Department allegations included charges that Bechtel improperly used federal funds to pay for a multiyear lobbying campaign of Congress to maintain funding for the Hanford treatment plant. Justice Department prosecutors also alleged that the corporation and subcontractors charged the Energy Department for deficient nuclear-quality materials, services and testing, according to a statement released by the Justice Department in December 2016. Bechtel disputed those allegations and did not admit liability or concede to any of the government claims in the settlement. The audit is not related to that settlement and is periodically conducted by the Defense Contracts Management Agency. 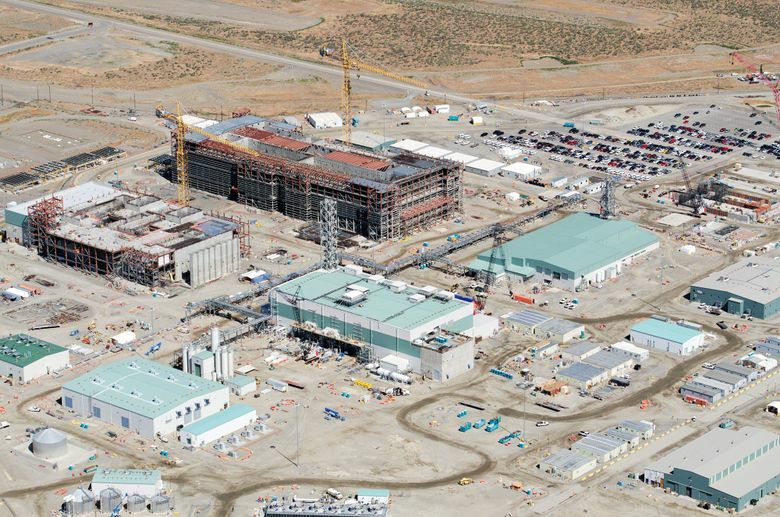 For Bechtel, at Hanford, this has been a key period of transition as preparations begin for startup of one part of the complex in time to meet a 2023 federal court-ordered deadline. This initial processing will handle low-activity waste, which contains smaller concentrations of radionuclides requiring less protection for public health than highly radioactive wastes. “2018 marks a significant shift from engineering and construction to startup and commissioning of our facilities,” wrote Brian Reilly, Bechtel’s project’s director for the waste treatment plant, in an April 1 column published in the Tri-City Herald. As of this week, construction, startup and testing phases are complete for five major support buildings, according to Bechtel. Information in this article, originally published July 26, 2018, was corrected July 26, 2018 to reflect that Bechtel National did not admit liability for any of the government’s claims in the settlement.